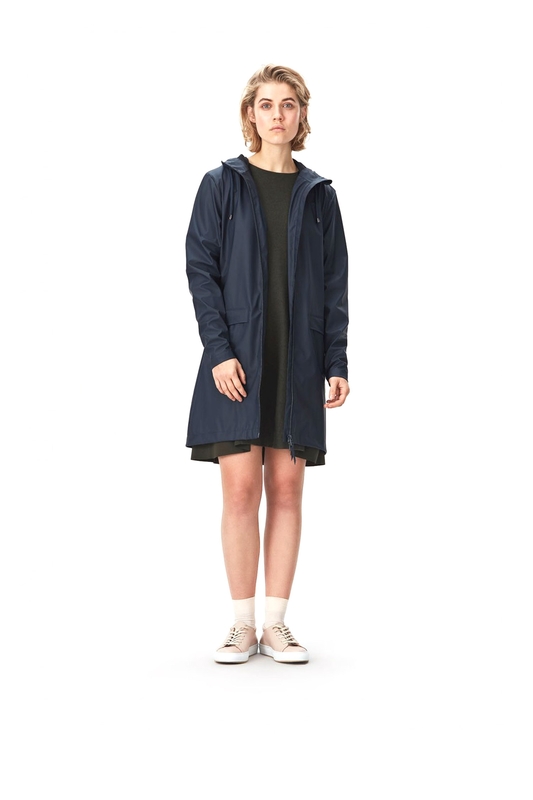 RAINS W Coat is a classic yet functional women's rain jacket with a modern twist. 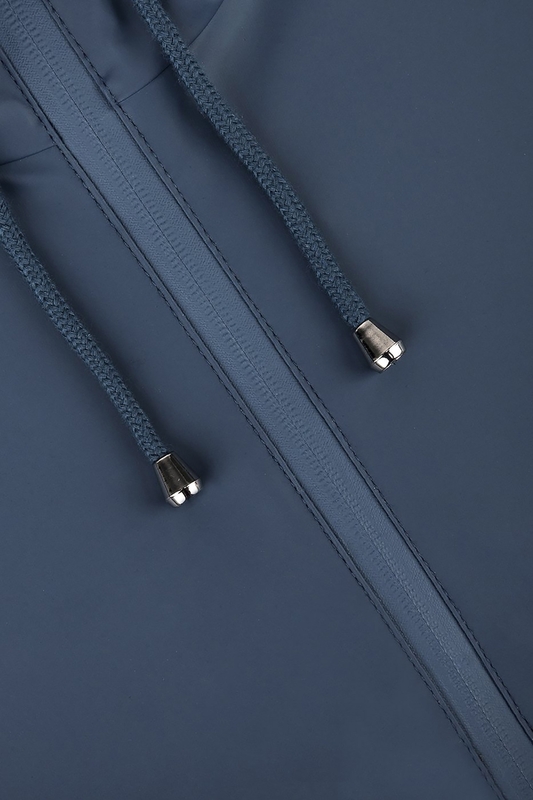 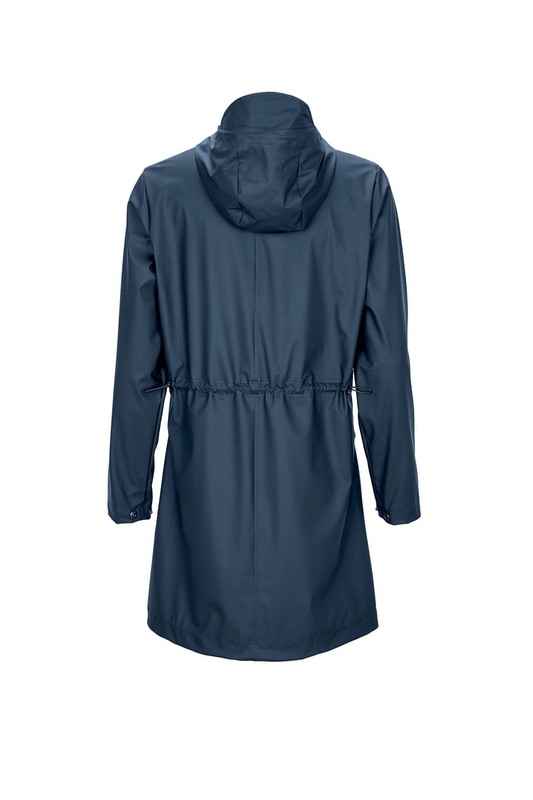 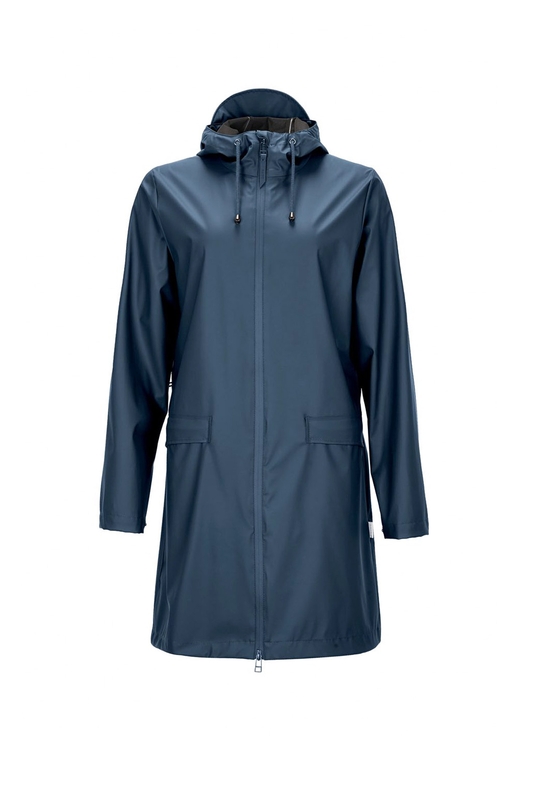 With a practical, adjustable cord at the waist, the raincoat is designed to emphasize the female silhouette. Made from a water-resistant lightweight fabric with a smooth and matte finish, W Coat has a two-way aqua guard coil zipper and adjustable cuffs.